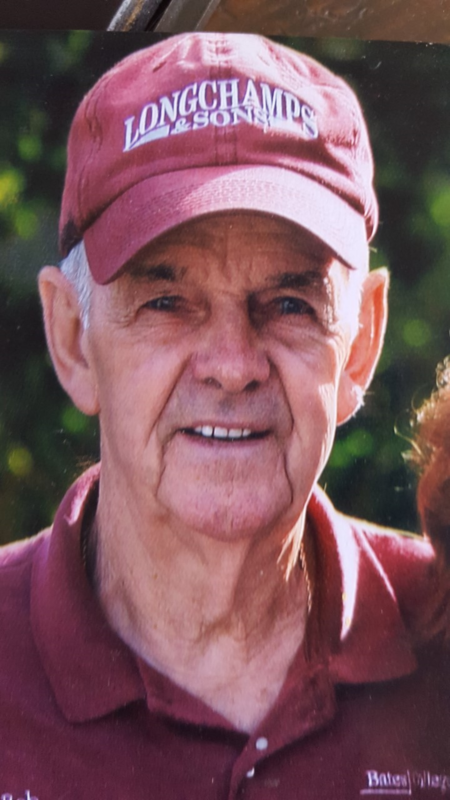 Lewiston- Robert 'Bob' A. Chouinard, 83, of 297 Stetson Rd., Lewiston went home to be with his loving wife and the Lord on October 15, 2018. He died peacefully at his home. Bob was born in Lewiston on February 6, 1935 to Arthur Chouinard and Irene Boisvert Chouinard, the oldest of six children. On September 8, 1955 he married Louise Emond and together, they raised 5 children. Bob was a proud member of the US Army Reserves and worked as a carpenter. He retired from Bates College at 62 but continued to work part- time until last year. Bob had a great love for anything outdoors. He was an avid fisherman and hunter and enjoyed weekend trips fishing, hunting and camping with his family and friends. Other hobbies included fly tying, woodworking, bowling, volley ball and watching the Patriots and Red Sox. 2 brothers, Wilfred and wife, Joanne, Norman, and wife, Jolene, 3 sisters, Claire Chouinard, Camilla Bosse and Irene and husband, Rudy Therrien, sister-in-law, Eva Malia and many nieces and nephews. He was predeceased by his wife, Louise, his father, Arthur, a grandson, Nicholas Begin and his grandson's wife, Jessica Longchamps. Bob will be missed by many. Visitation will be held at The First Assembly of God Church on Hogan Road in Lewiston on Tuesday from 6:00 PM to 7:00 PM. The Funeral Service will follow at the church at 7:00 PM. Committal Services will be held in the spring at Mt. Hope Cemetery in Lewiston. In lieu of flowers, donations may be made in Bob's memory to: The Dempsey Center in Lewiston, Maine.